Ashmore Group plc (LON:ASHM), the specialist Emerging Markets asset manager, announces the following update to its assets under management (“AuM”) in respect of the quarter ended 31 December 2018. 1. During the period, a multi-asset fund was reclassified into its constituent elements of external debt and equity. The % movement in the period is stated excluding the effect of this reclassification. Assets under management increased by US$0.3 billion during the period, through net inflows of US$0.5 billion and negative investment performance of US$0.2 billion. Net inflows were delivered in the corporate debt, blended debt, equities, multi-asset and overlay/liquidity themes. There was a small net outflow in the local currency theme, and the external debt and alternatives themes were flat during the period. Investment performance was modestly negative in aggregate for the three-month period reflecting the weaker global market conditions in October, with positive performance delivered over the rest of the quarter. Local currency delivered positive investment performance, benefiting from a weakening US dollar, and performance was flat in equities, corporate debt and overlay/liquidity. Each of the other themes had slightly negative performance over the three months. 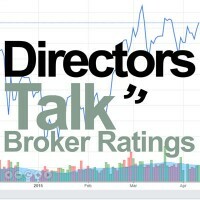 Against the backdrop of weak and volatile markets for much of 2018, and consistent with Ashmore’s value-based investment philosophy, investment processes have added risk to take advantage of the indiscriminate mispricing of assets and, as is typical at such points, there is some moderate underperformance over the shorter term. Ashmore’s performance relative to benchmarks over three and five years remains strong. For the translation of US dollar-denominated balance sheet items, the GBP:USD exchange rate was 1.2736 at 31 December 2018 (30 June 2018: 1.3200; 31 December 2017: 1.3513). For the translation of US dollar management fees, the average GBP:USD exchange rate achieved for the first half of the financial year was 1.2948 (H1 2017/18: 1.3259). The investment performance figure of US$0.2 billion includes the effect of translating non-US dollar share classes or funds into US dollars for reporting purposes. Over the quarter, this resulted in a negative contribution to reported investment performance of US$0.1 billion. 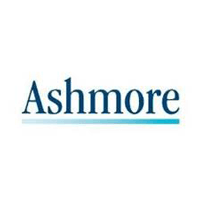 Ashmore will announce its interim results in respect of the six months ending 31 December 2018 on 14 February 2019.